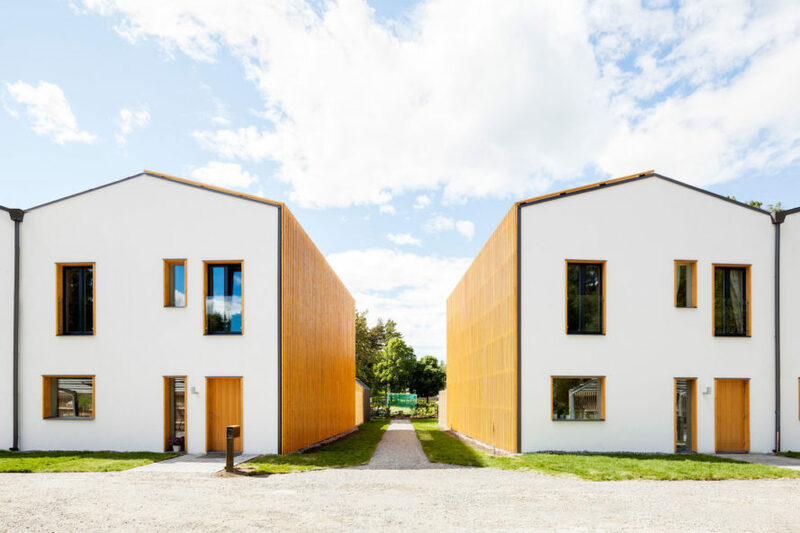 Electricity bills are a thing of the past at Power to the People, a modern zero-energy housing complex in Upplands Väsby, Sweden. Swedish firm Street Monkey Architects designed the gabled solar-powered homes using passive-house techniques and modular prefabrication. 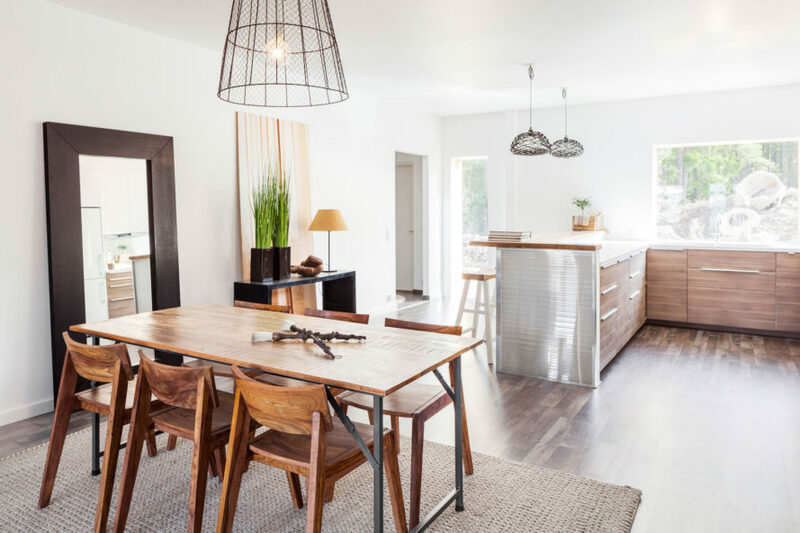 A clean and minimalist palette of wood, metal, and white-painted surfaces lends a touch of industrial elegance to the homes. Power to the People’s seven solar-powered row houses are set on the end of two dead-end streets that run east to west. The architects connected the two streets with a gravel road, a move that they describe as “the most important decision” they made since it increased walkability to and visibility of the adjoining neighborhood streets and forest trailheads. Passive solar principles and a desire to maximize views of the park to the west informed the row homes’ gabled form. Each home is equipped with 20 solar panels—the maximum number of solar panels allowed by the municipality—installed on the south-facing roofs. The minimalist and modern interior matches the facade and is injected with a bit of “elegant industrialism.” Power to the People’s prefab units successfully sold out within two weeks of being put on the market in 2015. Power to the People’s seven solar-powered row houses are set on the end of two dead-end streets that run east to west. The architects connected the two streets with a gravel road, a move that they describe as “the most important decision” they made since it increased walkability to and visibility of the adjoining neighborhood streets and forest trailheads. Passive solar principles and a desire to maximize views of the park to the west informed the row homes’ gabled form. Power to the People’s prefab units successfully sold out within two weeks of being put on the market in 2015.